(Melbourne, FL) – A U.S.-based company has entered the international marketplace for commercial water and wastewater treatment with a product and service package that is virtually without competition in its field. 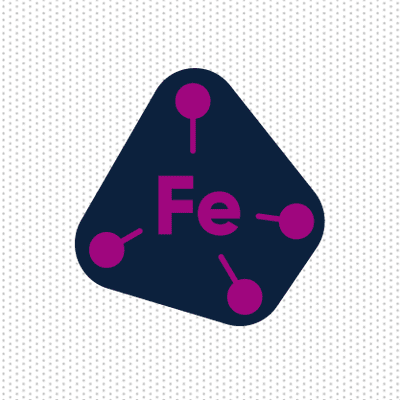 Ferrate Solutions, LLC is both a manufacturer of chemical production equipment and a designer of unique engineering processes which together create and then deliver the most sought-after, iron-based compound known as Ferrate, to polluted water. Ferrate has long been celebrated by researchers for its environmental treatment capabilities because it reduces or removes almost every type of water pollution found on Earth. Contaminates that Ferrate has proven to be particularly effective in removing range from fertilizer and human waste nutrients like those currently plaguing Florida’s inland waterways, to metals, pharmaceuticals and radioactive materials that have made drinking water sources around the globe, unusable. Previously cost prohibitive, Ferrate Solutions’ breakthrough technology will now allow this unique and powerful water treatment process to become available at a competitive cost in the environmental arena. As an iron-based treatment chemical, Ferrate is considered “green”, or environmentally friendly because its application results in no toxic residuals and in many cases its application can provide additional benefits such as the recycling and reuse of some of the precipitated chemicals. Phosphate and nitrogen, in particular, can be totally removed from a waterflow and reapplied to agricultural fields if desired. The company is positioned to open markets in several areas around the world, with a strong and initial focus in Asia. Ferrate Solutions’ systems are uniquely designed to deliver specialized amounts of Ferrate to match individual treatment needs and can be scaled up or down depending on a variety of factors including the timing of treatment to coincide with storm or other water release events. The systems are available for purchase and investment opportunities exist. For more information visit www.ferrate-solutions.com. More about Thomas D. Waite PhD PE… Thomas Waite is an internationally renowned environmental engineer with more than 40 years’ experience in developing water and wastewater treatment technologies, including high-valence iron chemistries. His laboratories have lead the research in these technologies, and he has designed and built full scale treatment systems. Dr. Waite brings a lifetime of experience as a researcher and practicing environmental engineer with a specialty in water quality control to this role. Dr. Waite has a PhD in Environmental Engineering from Harvard University, and has risen to several positions at the University of Miami and Northwestern University, including Professor of Civil and Environmental Engineering, Chairman of the Department of Civil Engineering, Associate Dean of the College of Engineering, and Director of the Laboratories for Pollution Control Technologies. In 2002 Dr. Waite was appointed Program Director of the Environmental Engineering Program at the National Science Foundation (NSF). In 2005 he became the Dean of the College of Engineering at the Florida Institute of Technology. He is the author, co-author or editor of four books and more than 150 technical reports and research presentations. In addition to university-based scholarship and research, Dr. Waite has had extensive experience in consulting and practicing engineering, both domestically and abroad. Dr. Waite led research to develop advanced membrane systems for oil-water separation for the U.S. Navy in Annapolis Maryland. He spent a year working at the Nanyang Technological University in Singapore where he was the first to design and build processes for treatment of ships’ ballast water. Based on this breakthrough research, Dr. Waite was included in the Singapore delegation to the International Maritime Organization (IMO) of the United Nations in London England. Dr. Waite developed the official treatment standards for ballast water treatment to prevent the transport of unwanted species which were formally adopted by the IMO and are in force today around the world. Dr. Waite has also participated as an international expert in marine pollution at the Helsinki Water Protection Laboratory in Finland. Dr. Waite led an industrial waste survey in Barbados, West Indies and Belize, Central America while being a consultant to the Caribbean Community Secretariate. Dr. Waite has been a go-to expert for the Pan-American Health Organization (PAHO) dealing with hazardous waste disposal issues throughout South and Central America. Based on results from these assignments Dr. Waite was asked by the World Health Organization (WHO) to lead a working group on coordination of technical cooperation for improving access and quality of drinking water globally. Because of Dr. Waite’s work with high-energy electron accelerators utilized for environmental treatment, Dr. Waite became a technical expert for the International Atomic Energy Agency (IAEA) of the United Nations. In this role he was sent on assignments as an expert to work with the governments of Brazil, Ecuador, Saudi Arabia, Korea, and Egypt. Dr. Waite has also held appointments with both federal and state agencies in the US. He was a committee member on four National Research Council (NRC) committees dealing with marine pollution and transport of unwanted species by ships’ activities. Dr. Waite was recently appointed to the Florida Oceans and Coastal Counsel by the Florida legislature. More about the global water treatment industry…The global water and wastewater markets are expected to reach USD 674.72 billion by 2025, driven by the rising demand for fresh water for drinking, industrialization and agriculture. Water & wastewater treatment processes such as softening, deodorization and purification are essential in making water more useful and potable. Asia Pacific is the largest market area accounting for 43.9% of revenue share in 2016. The Asia Pacific municipal water and wastewater market is likely to grow at a CAGR of 5.3% over the forecast period. Additionally, the market size for water treatment chemicals was already valued at USD 14.92 billion in 2016 and is expected to grow. Industry experts are very aware that the increasing regional scarcity and rising cost of water will endorse larger stress on recycling and reuse of water, making efficiency and cost effectiveness a very high priority across industries. New technologies will play a critical role in meeting this demand. Miyamoto wins “Global Best Project” — Again!